Our board is charged with overseeing the work of our staff and volunteer committees. We attempt to make most policy decisions based on written proposals and recommendations from the committees. The board meets five times per year via teleconference and once per year at our annual general assembly of all members. Joe is one of the seven original founders of Cooperative Coffees. He first started roasting coffee because he thought it would be easy. Having come from the cooking/restaurant world, Joe knew the basic principles of cooking, timing and working in tortuous temperatures. In 1994, Joe started roasting coffee under the name of Los Armadillos and found that the “easy” world of roasting was actually quite challenging. When approached by Bill Harris to start up Cooperative Coffees, Joe figured that the proposed way of purchasing quality coffee not only benefited his business, but really liked the idea that he could help growers’ communities and make a contribution to their families lives. Joe’s membership in the Coop has provided him the opportunity to travel and meet our growing partners, hear their needs and help them grow as a community. This is a principle that continues to be the backbone of his business today. 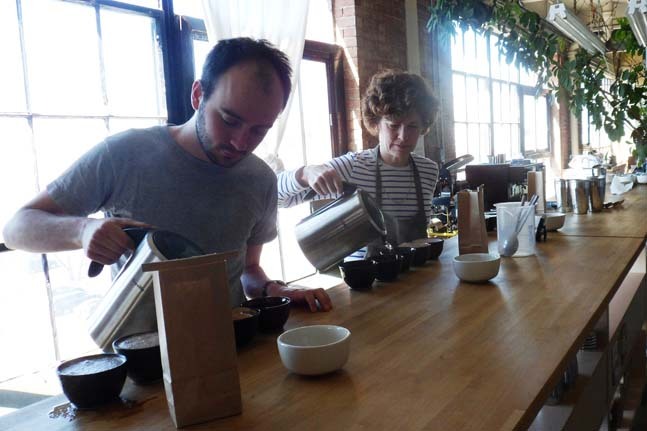 At the end of 2007, Joe purchased Third Coast Coffee and began a journey that has continued his goal of purchasing high quality beans, in order to create exceptional coffee. Third Coast Coffee is one of the premier quality roasting companies, located in the heart of Austin, Texas. Third Coast participates in various projects within the Coop; including water projects, ROYA funding and school building. 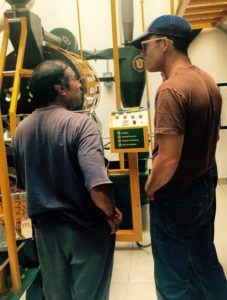 It is Joe’s mission to continue to educate anyone who will listen about what it takes to create great coffee. Matt Earley is a co-founder of Just Coffee Cooperative– a wholesale, mission-based, Certified B Corp, coffee roasting company based in Madison, WI started in 2002 and member of Cooperative Coffees since 2003. Currently he serves Just Coffee as President of its BoD, Farmer/Community Relations Director, Sustainability Director, and Brand Architect. When Matt is not visiting farmers somewhere down south in coffee country he can generally be found hanging out with his family or playing loud music with his band “Bent Antenna” or in his solo project “The Delicate Delegate”. Craig Hall is the owner operator of Equator Coffee Roasters located in Almonte, Ontario, Canada. Recently Equator celebrated a 20 year anniversary. Craig, and his wife and business partner, Amber, have always had a passion for high quality coffee and their commitment to partnering with coffee farmers. 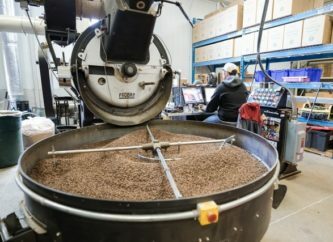 Equator operates three cafes in the Ottawa area and delivers fresh coffee every week to its loyal wholesale customers. Craig and Amber have four children Micah (11), Ella (13), Sam (16) and Joel (18) -(2018). Equator is proud of its work with School Box, a charity that builds classrooms and sends children to school in Nicaragua. 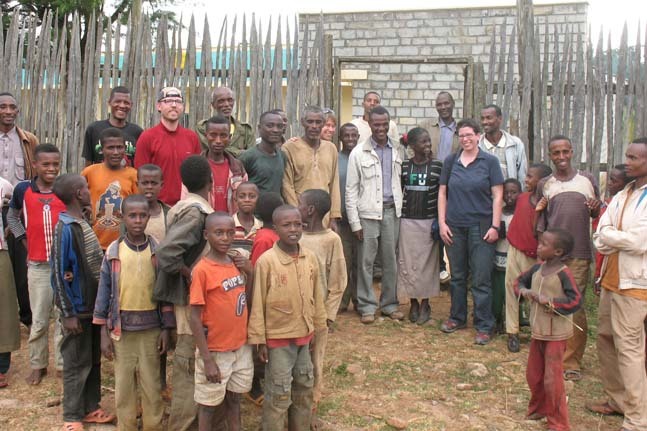 Michael started Bean North Coffee Roasting Co. Ltd. in 1997 along with his partner Helen and two friends. 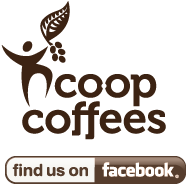 At that time Bean North Coffee Roasting Co. Ltd. was one of three 100% fair trade coffee roasting companies in Canada. 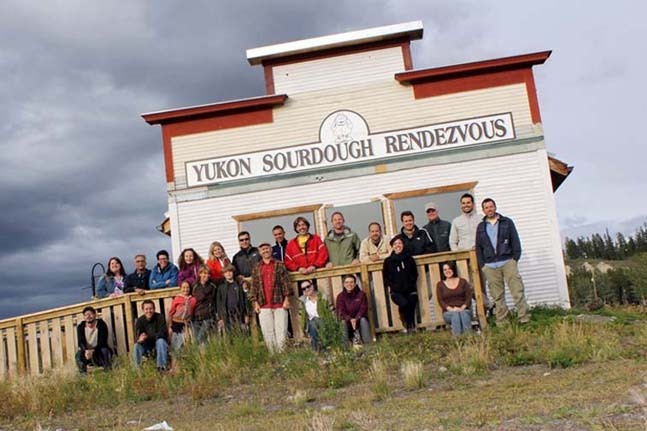 And, it was the only one north of 60 dedicated to striving for the best in both the quality of its coffee and the quality of life of farmer friends, their families and their communities. After 15 years of traveling to the coffee lands to learn more about our coffee and to better understand the realities on the ground in the communities Bean North partners with, both Michael and his partner Helen are proud to have created a positive force for change that is connecting consumers and farmers in a new partnership that is socially, environmentally and economically viable.Michael’s passion for organic farming and for those who grow the beautiful food we enjoy extends beyond the coffee lands; he is passionate about building healthy organic soils and in the spring and summer months grows all the produce for the Bean North Café. In his spare time Michael can often be found tending the numerous flower gardens that surround the café. Dan, along with his wife Sally, founded Amavida Coffee and Trading Company in Santa Rosa Beach, Florida. He is passionate about his community and improving things locally and around the world. 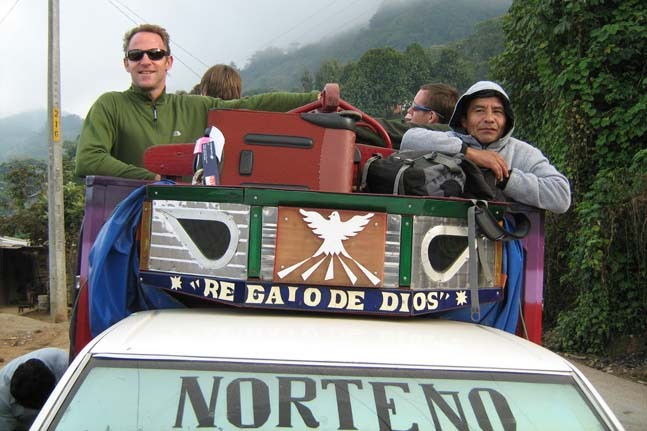 Dan grew up in coffee growing regions and lived in many international settings throughout his life and enjoys traveling and lending a hand to improve the lives of coffee farming communities where possible. Dan serves on the Board of Directors for the Seaside Repertory Theatre and on the Board of On The Ground – a not for profit organization dedicated to bringing fresh water, education, and healthcare to those without. In his spare time he enjoys his time with his family relaxing on the beach. Larry is the founder and President of Larry’s Coffee in Raleigh, NC, which began in 1993 when he dropped out of grad school. He has 20+ years of executive experience in brand creation, strategy, and business management. He has 14 years of experience in sustainable entrepreneurship. Larry has served on the Board of Directors to Cooperative Coffees from 1999-2007 and as Chairman from 2006-2007; he re-joined this Board in 2011 and again in 2018. Additionally he has served as Board member to both the Fair Trade Resource Network and CoopSol. He has served on the City of Raleigh Environmental Council from 2011-2017. Larry has a B.S. in Economics from the University of Puget Sound and has attended graduate programs in Economics at Univ. of Tennessee-Knoxville and NC State Univ. When Larry’s not running the company or developing his next ideas, he’s likely dancing the 2-step at a music festival or taking a road trip with Butter-Cream (his 1991 biodiesel Mercedes). Glenn is the founder and sole owner of Desert Sun Coffee, in Durango Colorado, the Southwest’s premier 100% organic and fair trade coffee roaster. We love Durango and the life style that comes with it. It’s part of who we are just like the coffee we roast. Place matters, that’s why we are committed to organic and fair trade principles and understanding and involving ourselves in the full coffee chain from origin to cup. Mark joined Peace Coffee, LLC in 2013 in the role of CFO/COO. 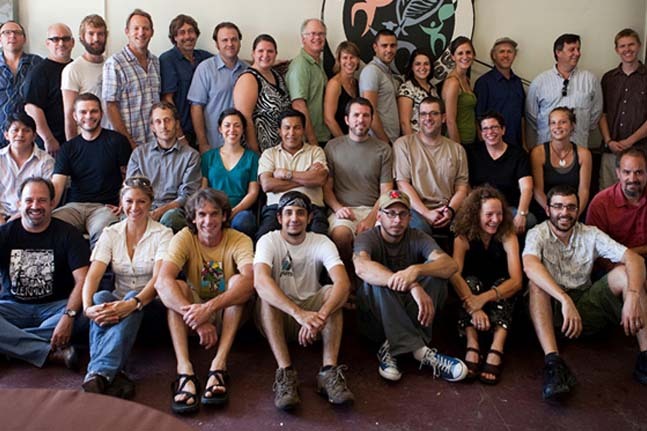 Peace Coffee is a founding member of Coop Coffees. Most of Mark’s finance career has been in the food and agriculture industries with 20 years experience at General Mills and Syngenta Seeds. He is a graduate of the University of Chicago (MBA) and University of St. Thomas (BA). In his down time he operates a 75 acre organic farm, is a member of the National Ski Patrol and is involved with various philanthropic initiatives focused on helping small scale farmers and the local food movement. He is married with three children and two Bernese Mountain dogs. T.J. is Co-owner of Kickapoo Coffee Roasters. He found his way to coffee after working and traveling in Latin America, focusing on sustainable development. 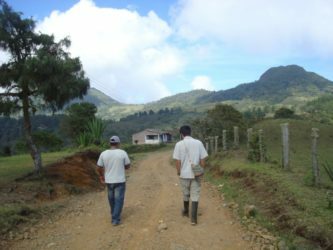 Convinced that fair trade, organic coffee was the best bet for farmers in Latin America, T.J. returned to the States in 1999 and has been in the coffee industry ever since working for social change. He is married with two children.T.J. has been at the start up stages of two successful small roasting businesses, Peace Coffee in Minneapolis and now Kickapoo Coffee. He’s worn the many hats of a small business owner: production labor and deliveries, sales, creating production systems, quality control, new product launches, management and overseeing financing and strategic planning.